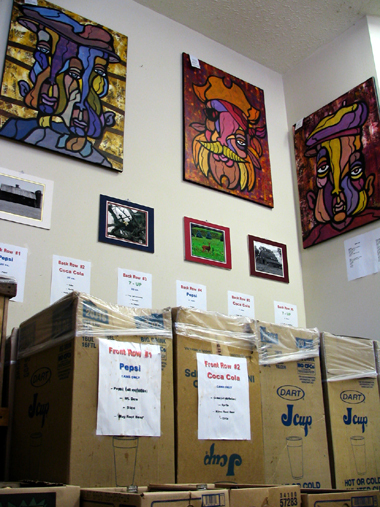 Here's some of my art hanging in the "Bottle Return Gallery" in Scotts, Michigan. (Actually it's the back wall of a convenience store). It is, by far and away, my favorite gallery. That being said, these paintings and more will be hanging at http://www.thecopycup.com/ in downtown Kalamazoo the month of October. 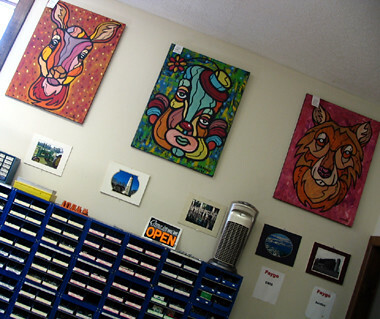 This is part of the Kalamazoo Art Hop put on by the Arts Council of Greater Kalamazoo. Art belongs everywhere. Keep it "up"!